Sipping on vino at Westport Whiskey and Wine. Wine tastings are an untapped resource for cheap entertainment. Think about the concept — you pay one low price and get to sample several varieties of vino and munch on unlimited cheese and crackers. Wine, cheese and crackers (separately or together) are three of my favorite things, which is why I enjoy the tastings at Westport Whiskey & Wine. This small liquor store in Westport Village hosts wine tastings on Thursday nights. For $5 per person, guests get six drink tickets to exchange for samples of the night’s selection of wines. Liquor samples of a featured brand are also included in the event. The aftermath of a night of wine, cheese and crackers. 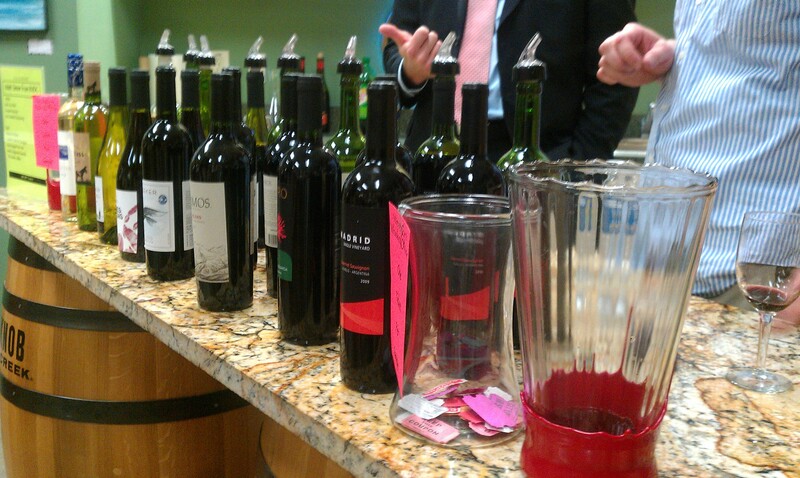 Rob and I stumbled across a tasting during our first week living near Westport Village in the East End. We happened to walk into the cozy liquor store on a Thursday, asked a few questions about the huge “Wine Tastings” sign hanging outside and quickly decided we wanted in on what was going on in the tasting room. 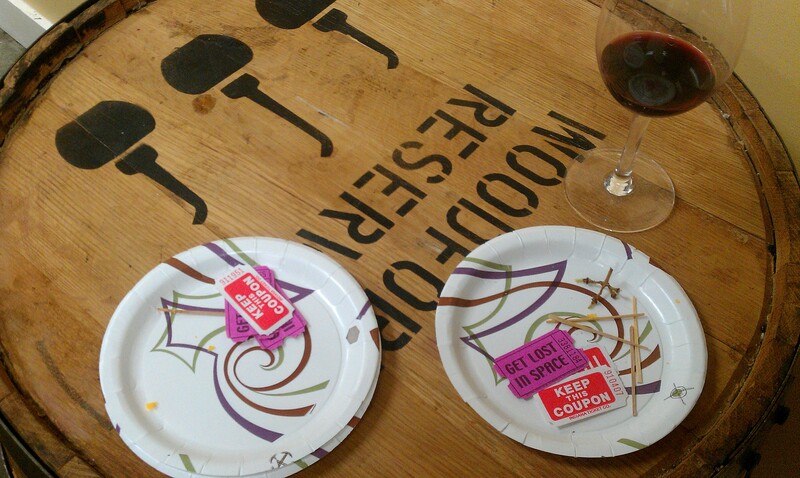 We paid for the event and took our tickets and wine glasses to a back room reserved for tasting events. With only a couple of tables and a healthy crowd, the tasting was standing room only, which could make for some awkward standing around and mingling if you’re by yourself. There were about eight different types of wine to try that night along with a bourbon called Larceny. I can’t tell you the types of wine we tried — I blame that on the generous pours. Westport Whiskey & Wine also offers special tastings throughout the week that are a little more expensive ($10-15) and require reservations. But the Thursday tastings don’t usually require reservations — Rob and I have since popped over there when we have some free time. Join us for our weekly tasting of wines, this week’s wines will feature Thorny Rose from Washington state. Our gins this week will be those featuring big botanical styles. We will also be featuring El Jimador margaritas! $5 per person. Visit the store’s website for more information about future tastings.